The Prime Minister, Dr. Manmohan Singh, inaugurated the Naval Academy (NAVAC) in Ezhimala, Kerala on January 08. The Naval Academy was planned as a full-fledged permanent Naval Academy to replace the present Naval Academy, INS Mandovi at Goa. Surprisingly it has taken almost 22 years to inaugurate the Academy for which the foundation stone was laid by the then Prime Minister Rajiv Gandhi on January 17, 1987. This Academy will prove to be the premier officer-training establishment of the Indian Navy and is the largest Naval Academy in Asia. From June this year, all officers inducted into the Indian Navy, under various schemes, will undergo basic training at this Academy. 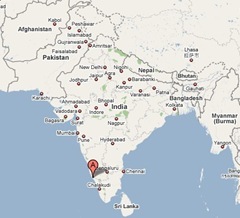 Located 38 km north of Kannur (Cannanore) district of Kerala. Ezhimala was a flourishing sea port in ancient Kerala. Covers an area of 2452 acres along the North Malabar coastline. 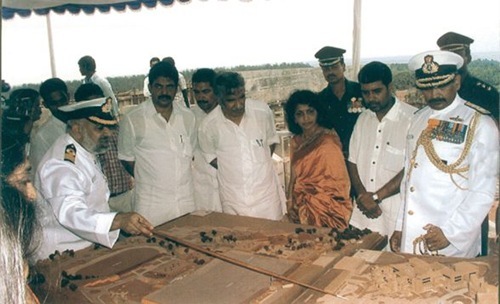 As Phase-1 of the project, INS Zamorin was commissioned in Ezhimala campus on April 06, 2005 to support the construction of the academy and all aspects of its training and administrative functions for the new naval academy. Also Naval Orientation Courses for Officers are going on since 2005. With the inauguration, all the training activities of Naval Academy, INS Mandovi, Goa, and Naval College of Engineering, INS Shivaji, Lonavla would be shifted to this new academy. The Academy would be conducting a four year ‘B Tech’ programme for all newly inducted trainees. Courses would be offered in ‘Electronics and Communications’ and ‘Mechanical Engineering’. The Academy would start training approximately 450 trainees this year and would progressively increase to about 1100 trainees by 2013. This would include officer-trainees from the Indian Coast Guard and friendly foreign countries. To be supported by Base Depot Ship (INS Zamorin), Base Hospital (INHS Navjeevani) and a Station Health Organization. The Academy will have a mix of uniformed and civilian staff for the conduct of training and other administrative support functions. There would be 161 officers, 47 professors/ lecturers, 502 sailors and 557 civilians. Along with the families of staff, the campus would have a population of about 4000. State-of-the-art classrooms, laboratories,workshops, a well stocked library and a modern auditorium. Physical-fitness training-facilities like indoor swimming and diving pools, an athletics track and stadium, a variety of play fields and courts. A firing range and a watermanship-training centre with several types of boats. A comprehensive IT network, interconnecting various facilities. Cost of setting up has escalated from Rs.1.66 billion ($35 million) to Rs.7.21 billion ($150 million). Here are two photographs of Naval Academy, Ezhimala during development from Sainik Samachar. 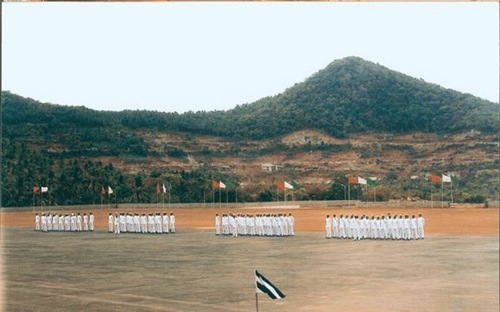 Here is an amazing photograph of the Naval Academy, Ezhimala from LiveFist. The five photographs below on inauguration are from MOD,India. 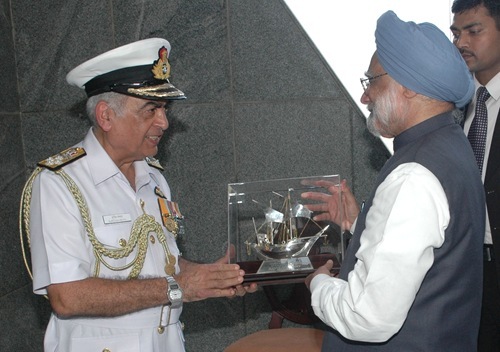 The Chief of Navy Staff, Admiral Sureesh Mehta presenting a memento to the Prime Minister, Dr. Manmohan Singh, at the inauguration of the Naval Academy, Ezhimala. 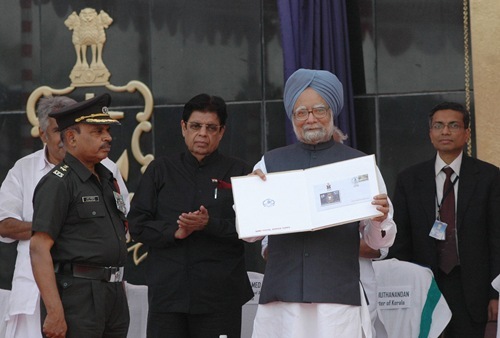 The Prime Minister, Dr. Manmohan Singh releasing the first cover of the Naval Academy at the inauguration of the Naval Academy, Ezhimala. 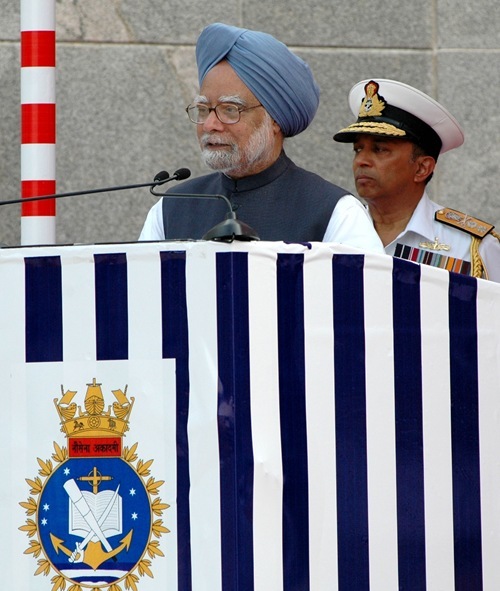 The Prime Minister, Dr. Manmohan Singh addressing after inaugurating the Naval Academy, Ezhimala. 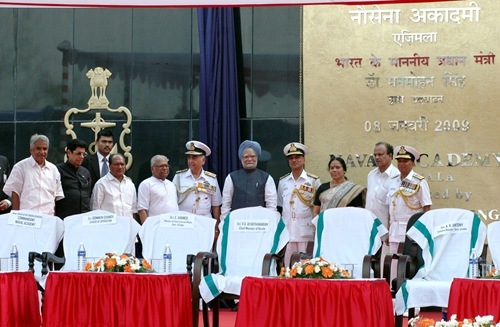 The Prime Minister, Dr. Manmohan Singh in a group photograph after inaugurating the Naval Academy, Ezhimala. 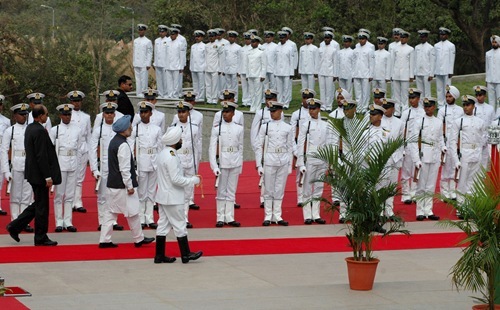 The Prime Minister, Dr. Manmohan Singh inspecting the guard of honour at the inaugural function of the Naval Academy, Ezhimala. Read the Prime Minister, Dr. Manmohan Singh’s inaugural speech at the Naval Academy in Ezhimala on January 08 from PIB Press Release. Know more about Ezhimala from here. View an interesting video clip covering the inauguration of Naval Academy at Ezhimala from Videos From India. To know more about Careers and Opportunities in the Indian Navy, log on to Nausena Bharti. I Mr.Aravindan residing in Ramanthali near to Naval Academy.I praise myself that Iam living in the best technically developed naval academy area. I am really proud of seeing the naval academy devolopment. It is wondering me how the hilly area is developed into in its present pattern. 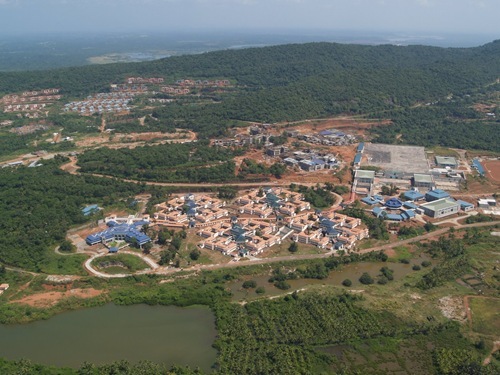 Incremental development happening at INA, Ezhimala is an awesome. Of course, it is a golden feather to the crown of our country especially to God’s Own Country.